Divers have discovered a mine at the bottom of the Black Sea near a sanatorium for children in the southern Russian resort town of Anapa. To clear the area from the decades-old explosive device the establishment's premises were cordoned off. A video of an anchor mine clearance operation has emerged on YouTube. 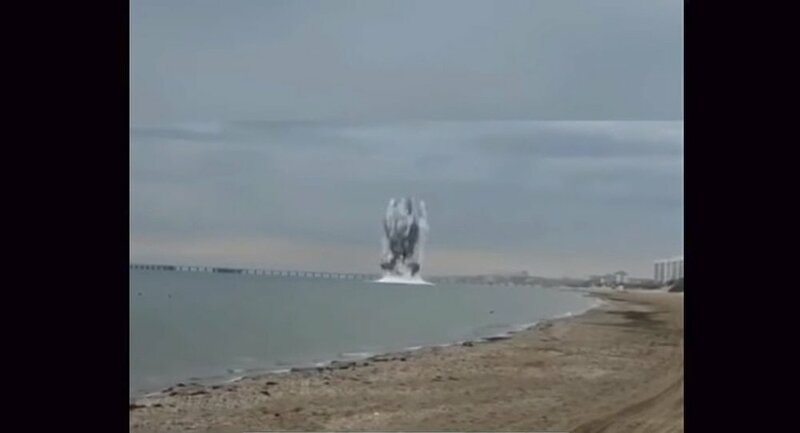 The footage shows a huge explosion just metres away from the beach. The bomb was detonated by the de-miners from Russia's Black Sea naval base in the city of Novorossiysk. The mine was successfully blown up, according to a statement by Anapa's authorities.